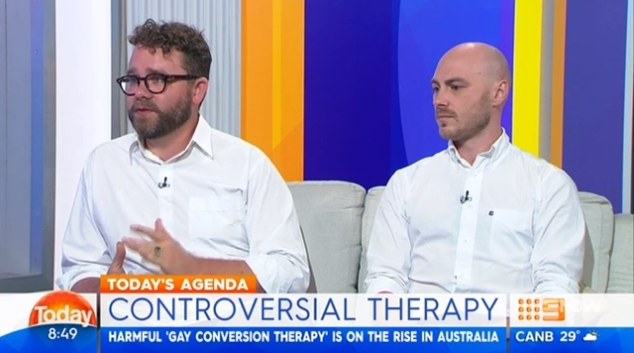 Channel Nine’s Today has aired an interview with an Australian man sharing his experiences and warning of the dangers of LGBT+ conversion therapy. 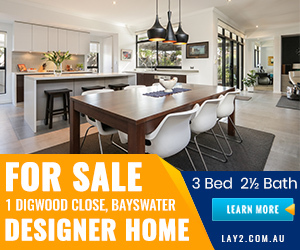 Speaking with host Georgie Gardner, Chris Csabs explains how he first made contact with the gay conversion movement when he was sixteen years old. “I came out to a pastor at church and I was already very worried about my sexuality because I’d already heard all about how homosexuals were abominations and perverse and all of those kind of things,” Csabs said. Gardner asked if Csabs attended the program willingly, where he explains his then fear of his own sexuality as a practicing Christian. “From growing up in the church I’d heard all of these things about gay people and that it was a spiritual problem, it was a choice, it was something that could be changed. Csabs says after counselling he attended the Living Waters program, which he describes as an Alcoholics Anonymous style support group. “I was in Living Waters for nine months. At the end of it I was just as gay as I ever was. Maybe even gayer,” he laughs. Csabs has gathered over 50,000 signatures on a petition aiming to outlaw conversion therapy in Australia, which has received support from both Labor and The Greens. Federal Health Minister Greg Hunt however says the issue is a matter of freedom of speech. “There’s been a lot of talk about freedom of religion or freedom of speech when it comes to gay conversion therapy but I think it’s important to remember that people are actually being really damaged by this,” Csabs said. A recent report conducted by La Trobe University and the Human Rights Law Centre further outlines the harm caused to lesbian, gay, bisexual and transgender people by the practice of conversion therapy, and its pervasiveness in Australia’s faith communities. Preventing Harm, Promoting Justice: Responding to LGBT conversion therapy in Australia examines the lived experience of 15 LGBT Australians who have struggled with their sexuality or gender and their religious community. Among the report’s recommendations are calls to add to existing protections by introducing specific legislation to prohibit conversion practice against adults when executed by health or other professionals, and banning all conversion practices against children.